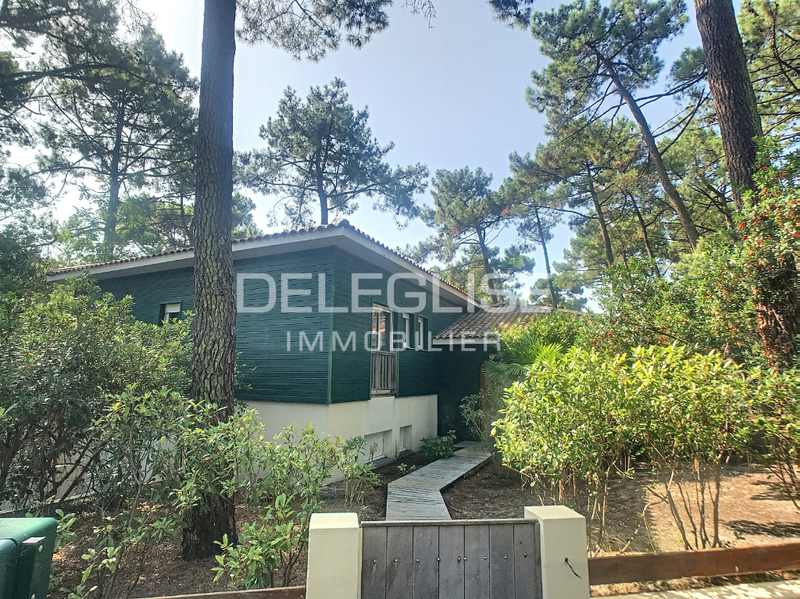 DELEGLISE IMMOBILIER presents a spacious holiday home built on a large piece of ground planted with trees in quite surroundings. It is located 5 minutes walk to the beach and to a little marina. The house is ideal for holidays or permanent home for a large family or people who like to receive friends. It offers 6 rooms, 3 bathrooms, a wide living room with a fireplace. 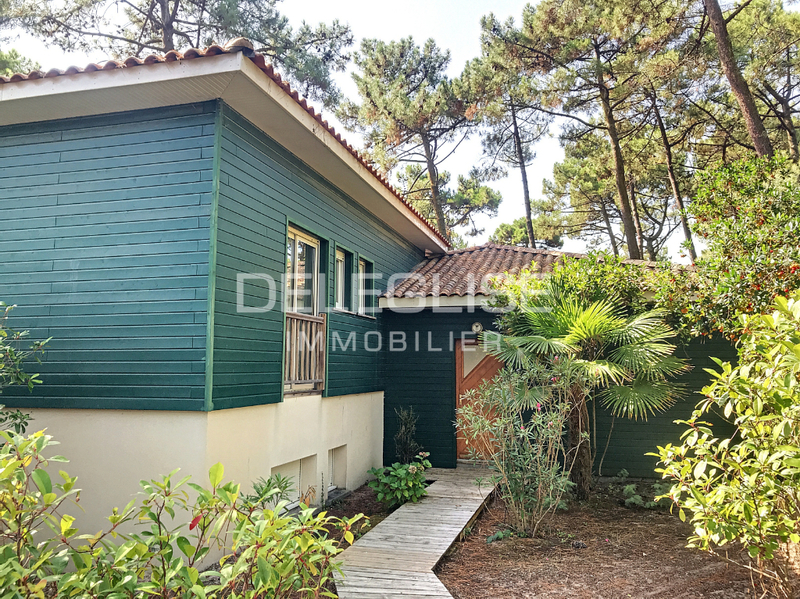 This villa is in wood construction and benefits of large terraces and balconeys. dont 2.40 % honoraires TTC à la charge de l’acquéreur.